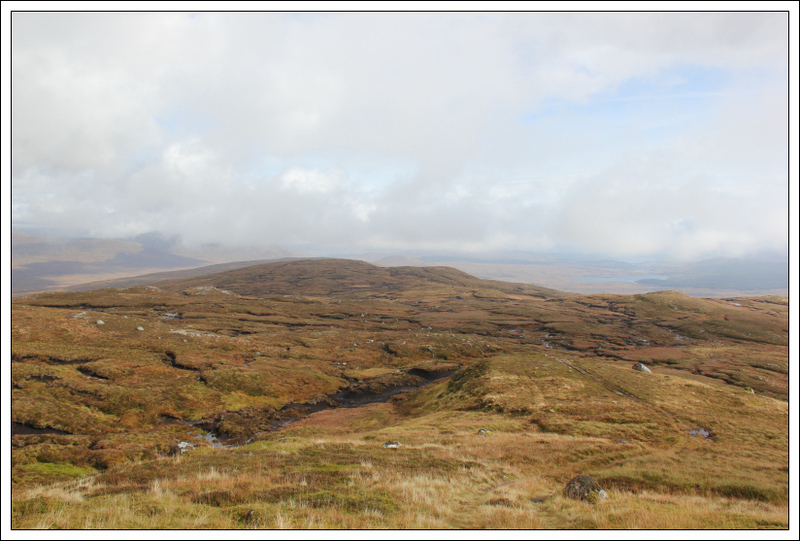 On Sunday, I drove from my base at Kinloch Rannoch to Rannoch Station for an ascent of Stob na Cruaiche. 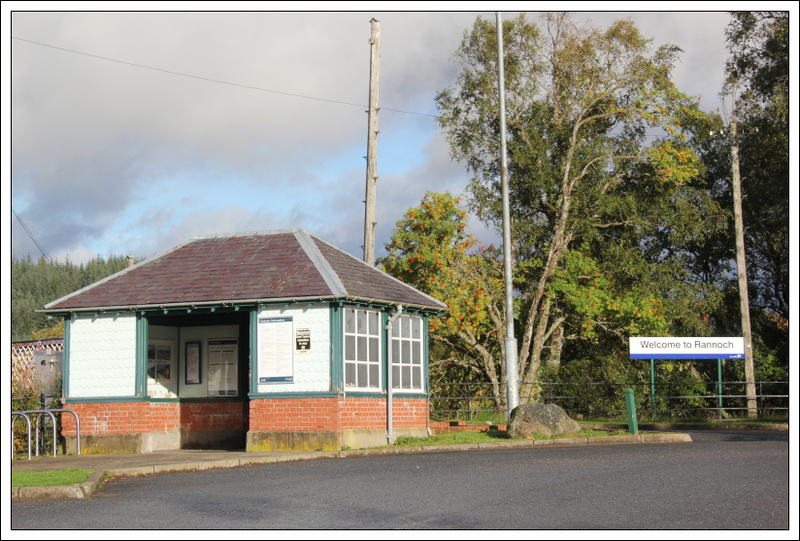 I parked in the Rannoch Station car park. 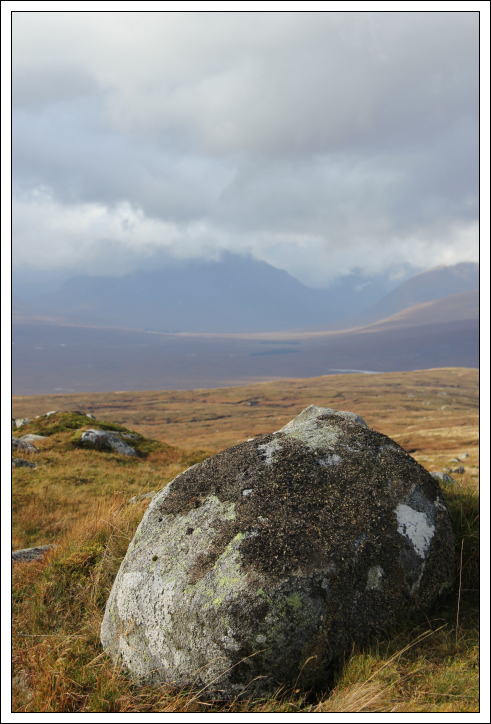 From the car park, I took the signposted Public path to Glencoe via Loch Laidon. 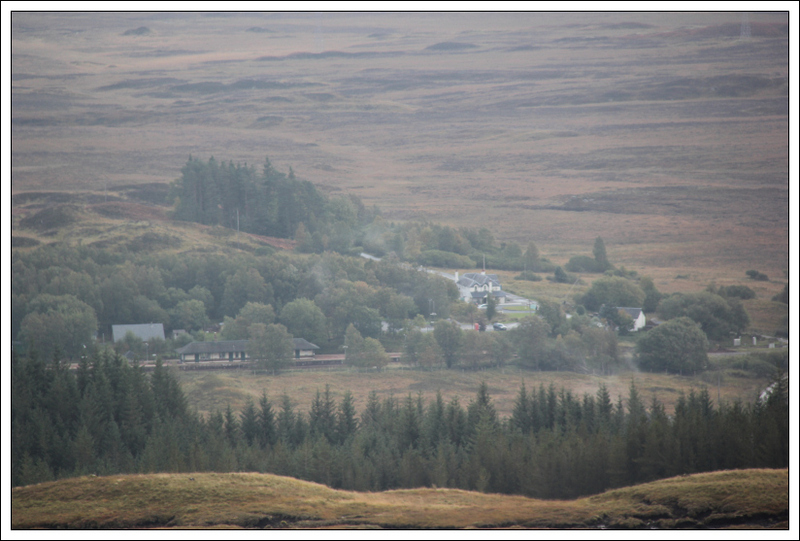 I then crossed the Private Level Crossing stopping for a few seconds to take a photo whilst standing on the railway line looking in the direction of Bridge of Orchy. 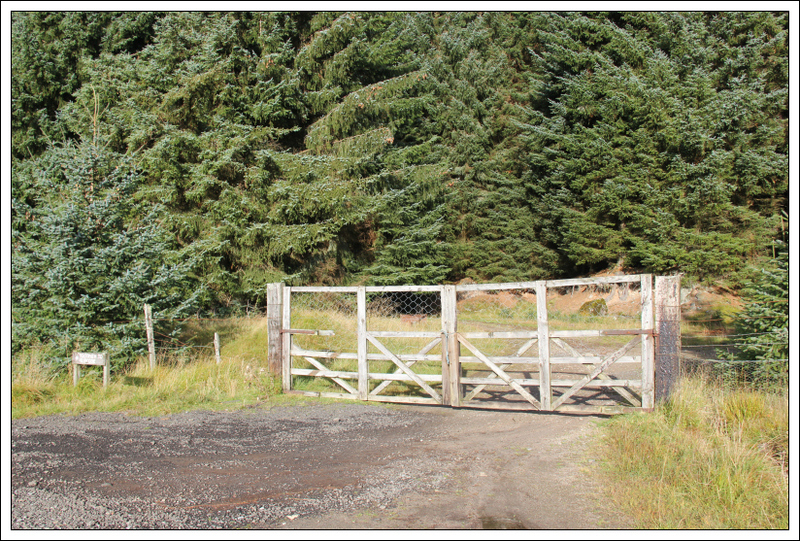 Beyond the level crossing I followed the Public path for circa 0.5km until reaching a large wooden gate with a track leading into the forest. 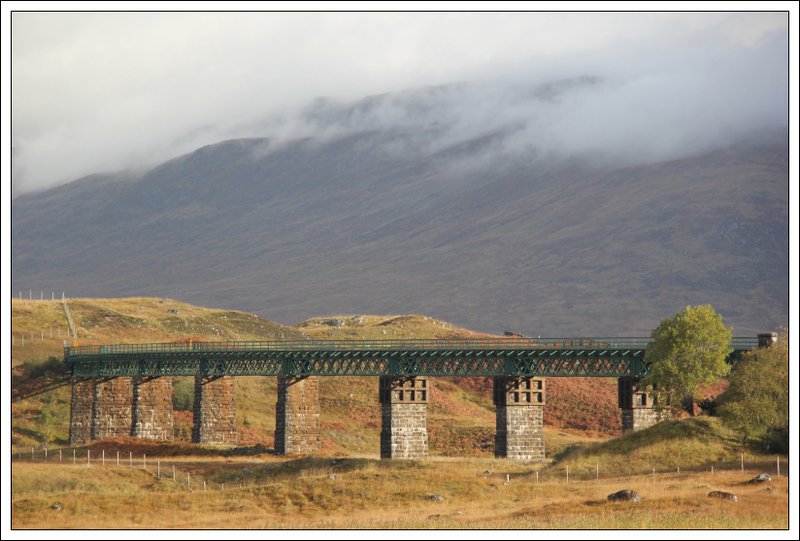 While on the Public path I stopped to take a photo of the Rannoch Station viaduct. 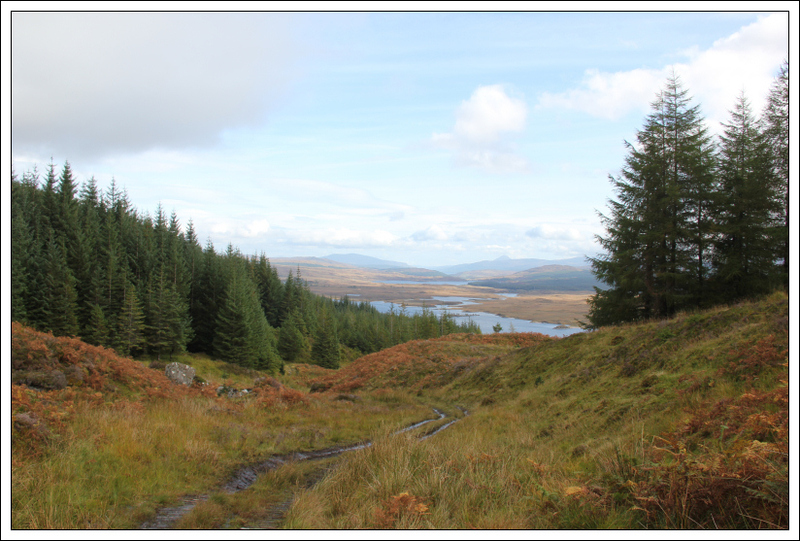 It didn’t take long to walk up through the forest reaching the open hillside beyond. 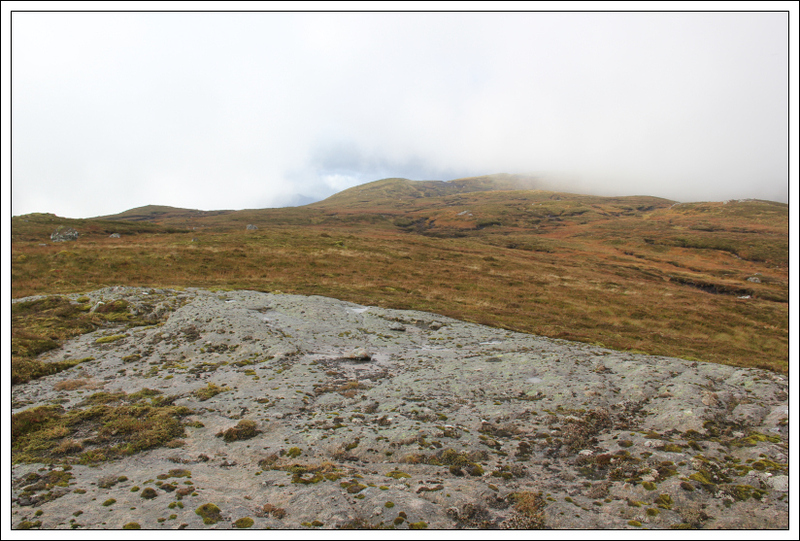 I followed the good quality track for circa 800m and beyond that fairly wet vehicle tracks leading up to the summit of Meall Liath na Doire. 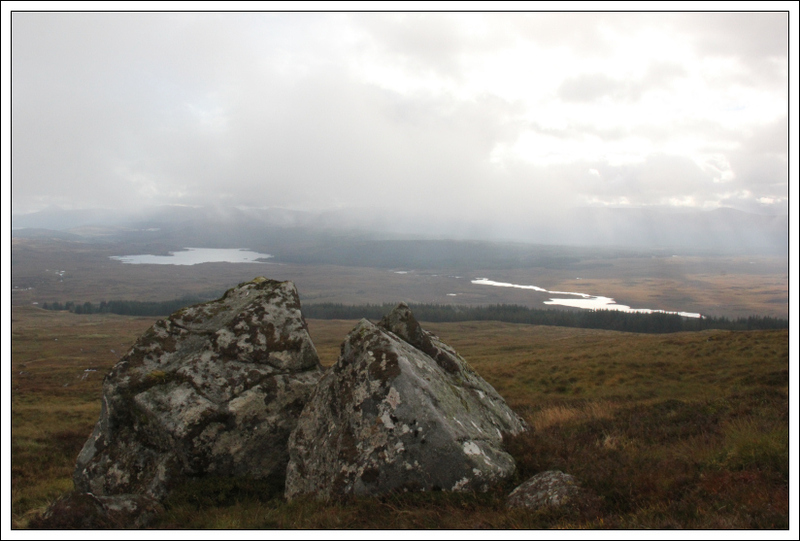 At the top of Meall Liath na Doire I left the vehicle tracks to commence a long slog across rough, pathless, wet terrain. 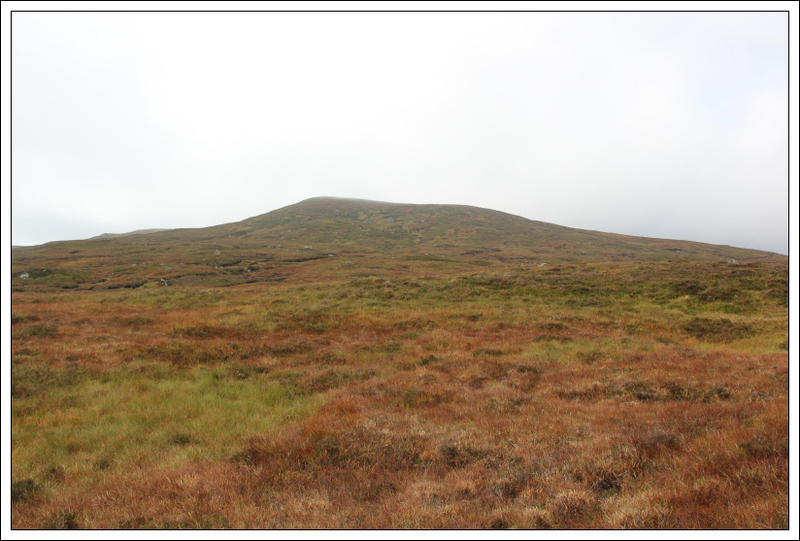 The walk from Meall Liath na Doire to the 638m top was not particularly pleasant. 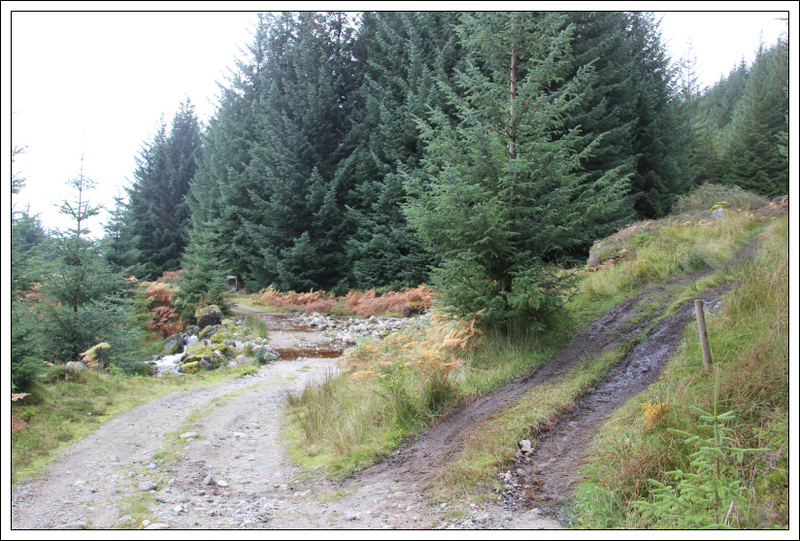 The next photo shows the pathless terrain that has to be crossed. 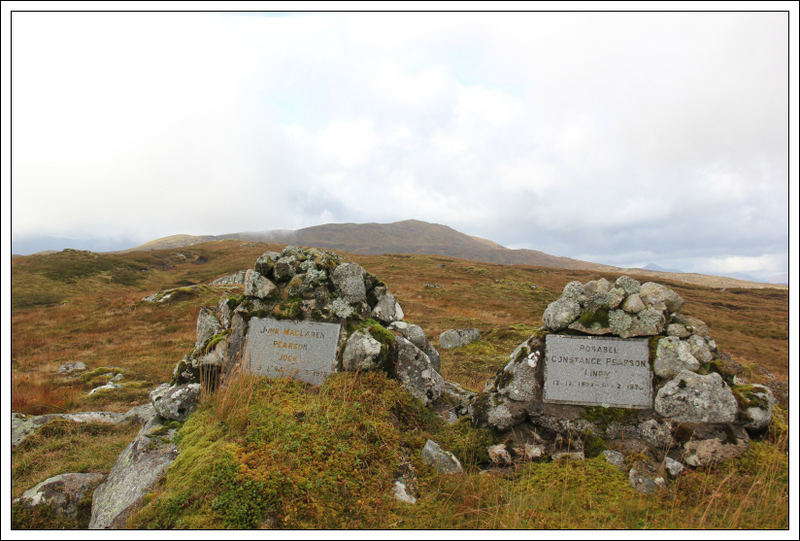 I was fairly surprised to come across two memorial plaques built into cairns on the 638m hill. 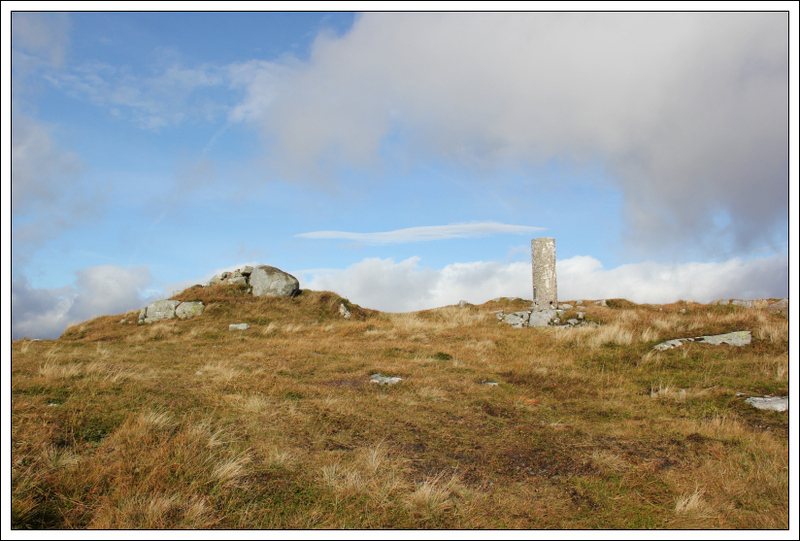 I am not a fan of memorials being constructed on hills, especially if the memorials are not signifying a burial there. 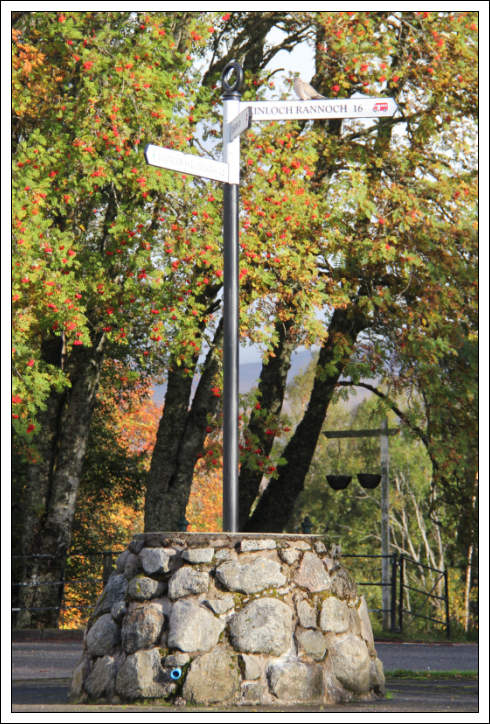 These memorials looked really out of place on the hill. 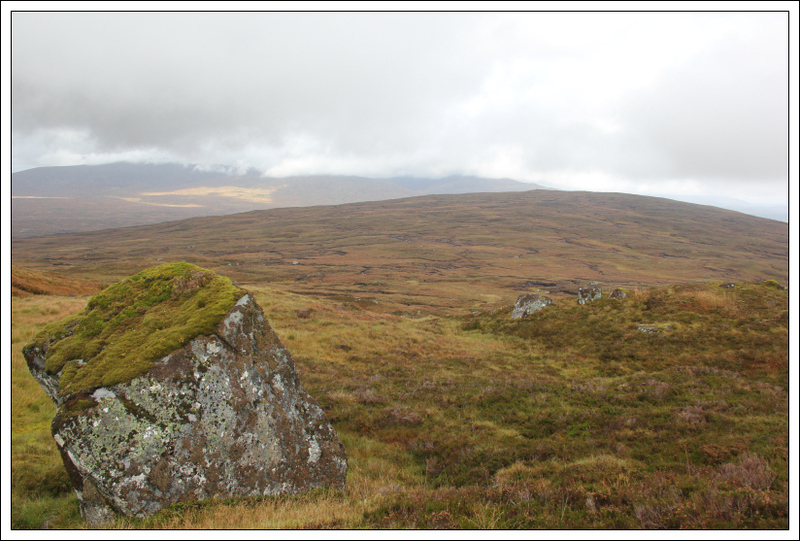 From the memorial cairns I continued on towards the 613m top and beyond towards Stob na Cruaiche. 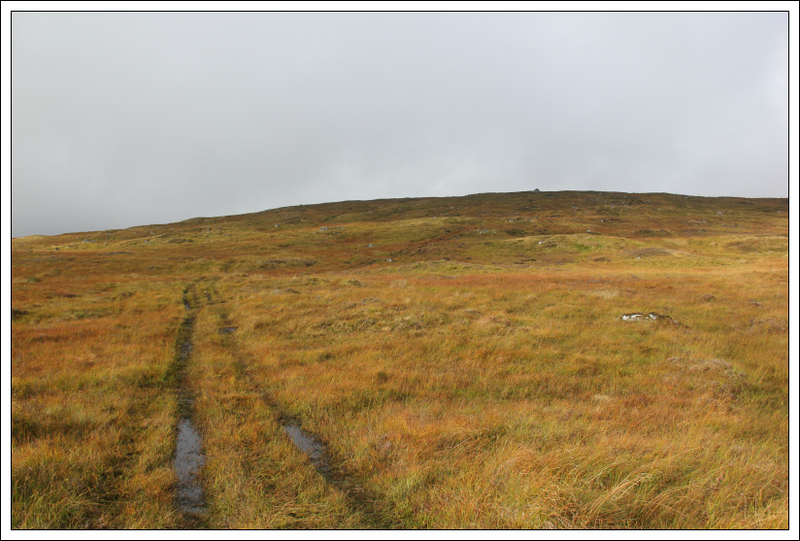 Circa 0.5km from the summit of Stob na Cruaiche I was surprised to find a vehicle track ascending to the summit of Stob na Cruaiche. 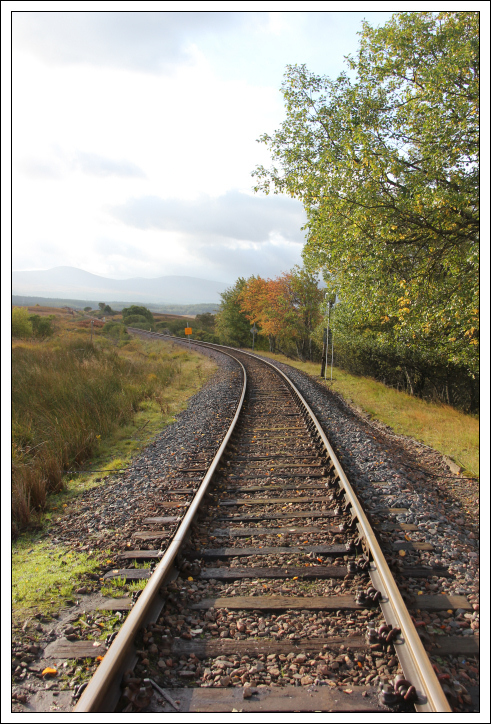 I decided to make use of this track following it to the summit. 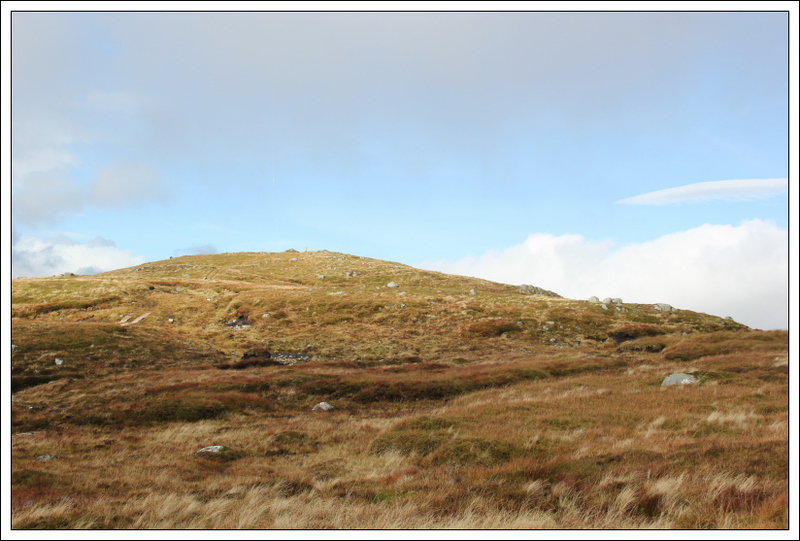 The summit of this hill would be an outstanding viewpoint on a blue sky day. This was not however a blue sky day . 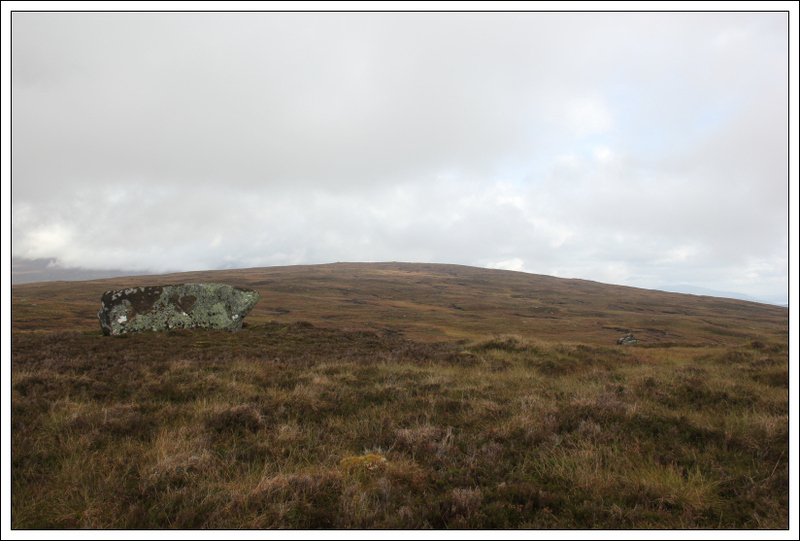 Despite the hill terrain being fairly unpleasant, I quite fancy coming back to re-do this hill on a better day. 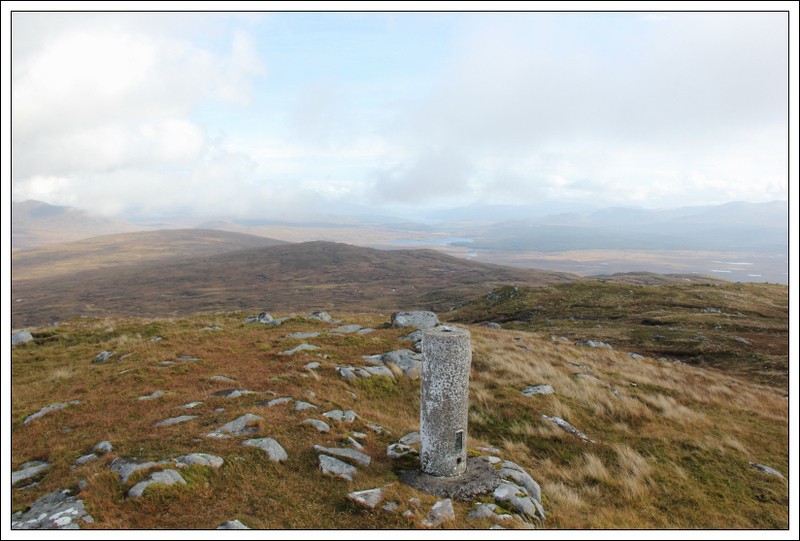 I spent circa five minutes at the summit taking photos before heading back. 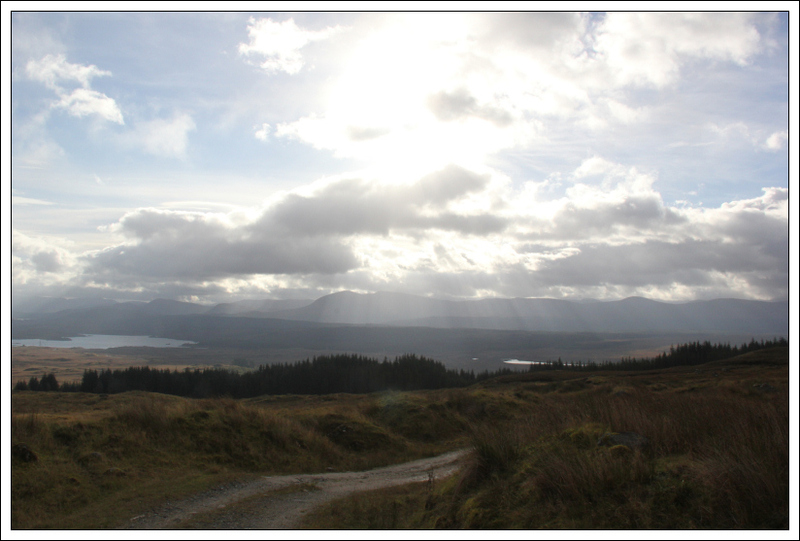 From the summit, I decided to follow the vehicle track for as long as it was taking me in the right direction. 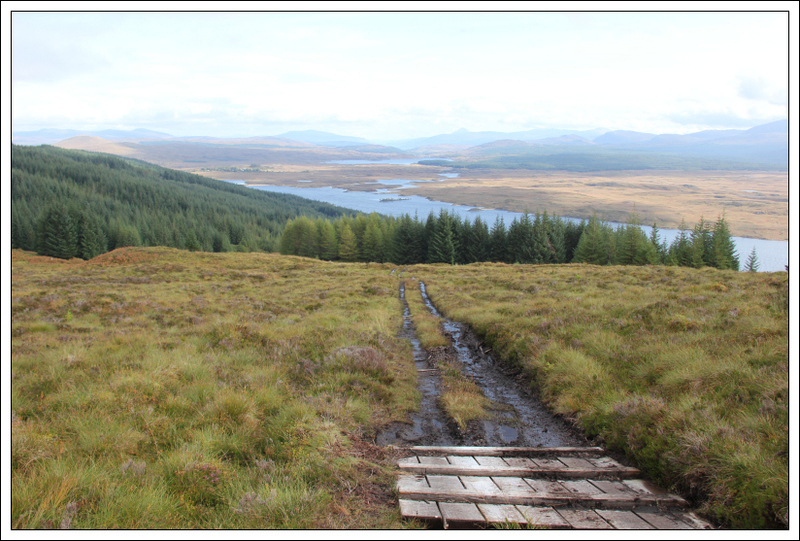 It was definitely worth following this track as it led back down through the forest onto the Rannoch Station to Glencoe Public path. 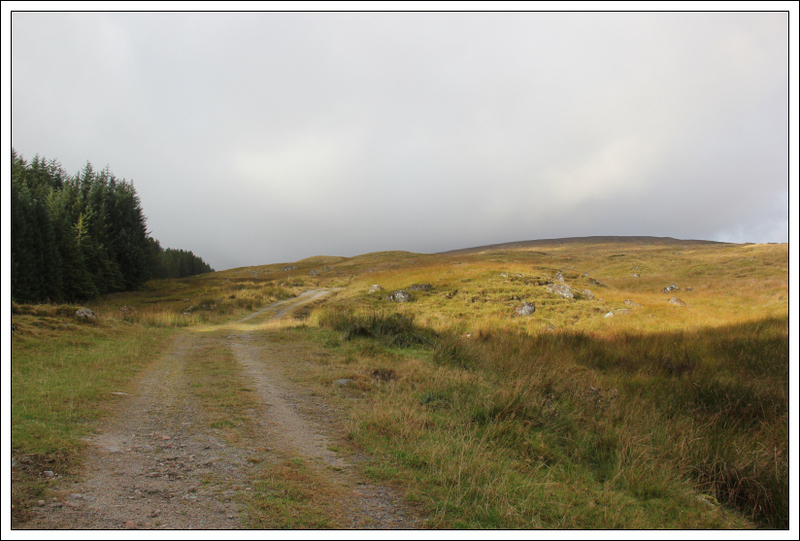 If you want to avoid having to cross miles of trackless terrain, you could take this vehicle track all the way to the summit and back. 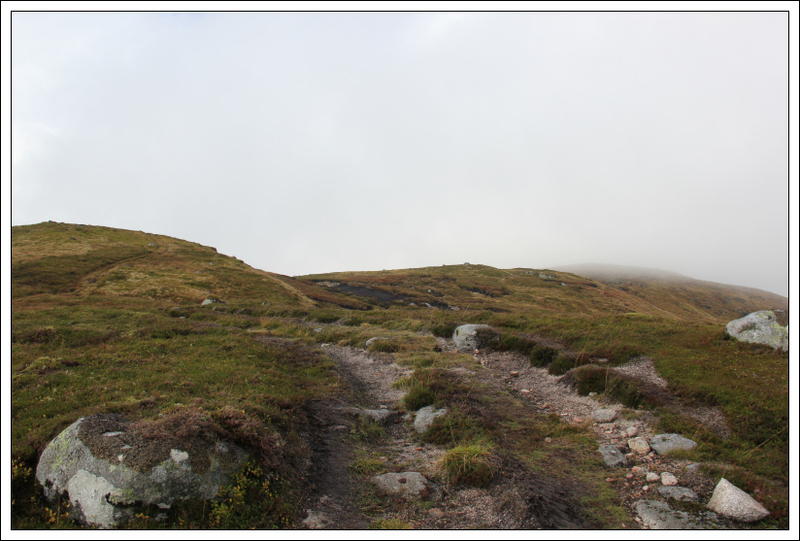 The next photo shows the start of the vehicle track that leads all the way to the summit of Stob na Cruaiche. 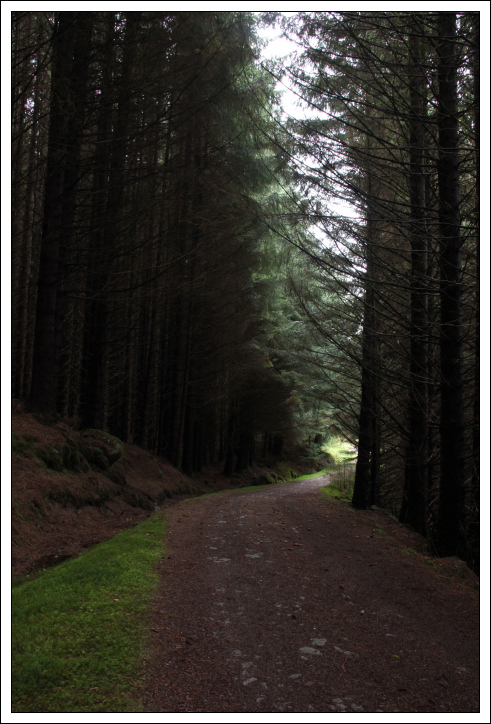 The walk back along the Public path was pleasant. 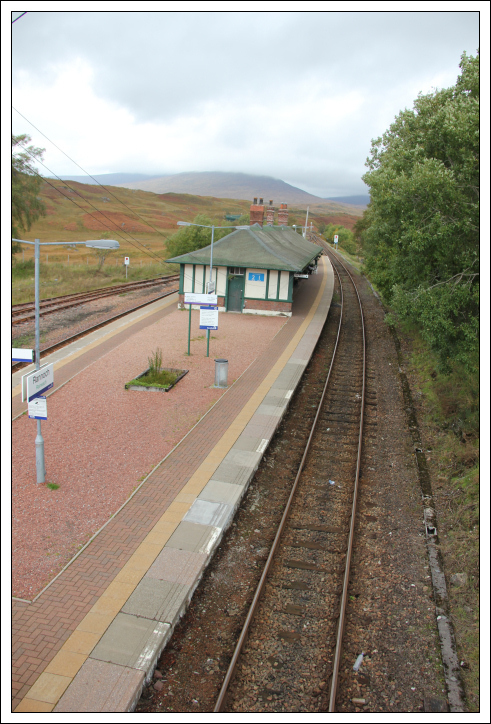 It would be nice to walk from Rannoch Station to Glencoe via this track sometime in the future. 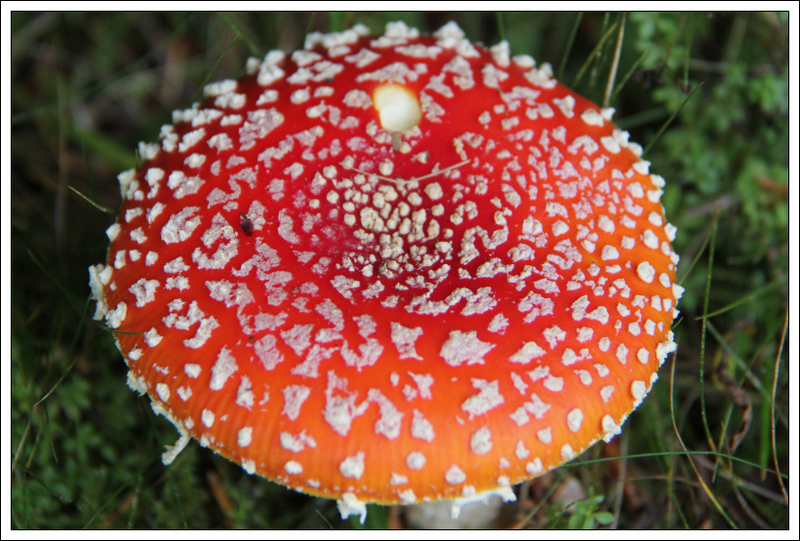 A Fly Agaric toadstool provided a brilliant splash of colour on what was a generally dull day. 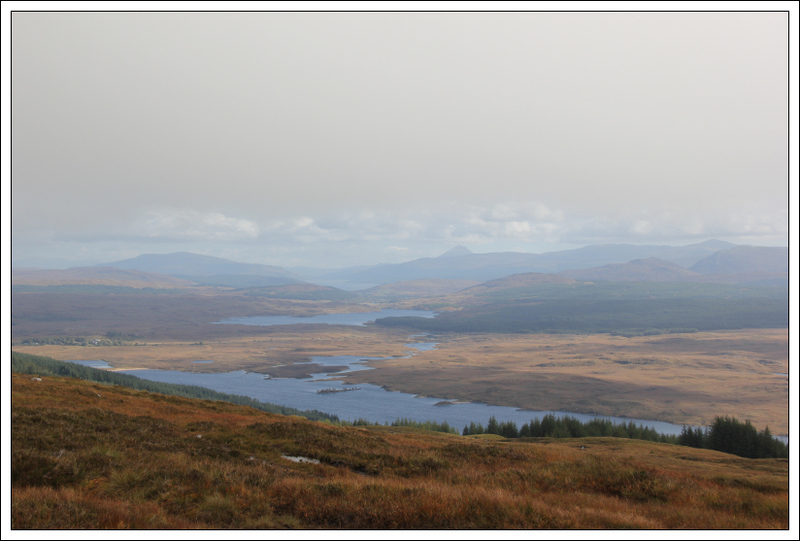 A good day out despite the disappointing views.